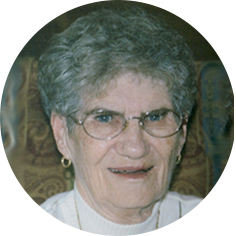 Wenman, Willowe Margaret of Moose Jaw, SK., (formerly of Fort Qu’Appelle) passed away after a brief illness on Wednesday August 22nd, 2018 at the age of 82 years in the Regina General Hospital. The funeral service will be held on Monday August 27, 2018 at 11:00 a.m. at the Moose Jaw Funeral Home with Rev. Larry Hasmatali officiating with interment to follow. Willowe was born in Crane Valley, Saskatchewan on October 21, 1935. Willowe will be lovingly remembered and dearly missed by the love of her life, soul mate, and best friend, Stu Wenman; as well as children, Sheila Kinnee, Cheryl Gamble (Joe Legare), Erwin (Laura) Gamble, Heather (Brad) Senft , Melvina (Dave) Kinnee, step-daughter Karen (Logan) Eden and brother Dennis (Christine) Brown; 15 grandchildren and 27 great-grandchildren and many nieces and nephews. Willowe was predeceased by her father, Samuel Brown (1955); mother, Ellen (Smith) Brown Jones (1992); daughter, Wanda (Gamble) Miller (2015); grandson, Mathew Miller (1982); sister, Sharon (Brown) Morrison (1996); son-in-law, Randy Kinnee (2014); and step-daughter, Janice Wenman (1972). Willowe was a single parent and raised her children in Moose Jaw, Sk. She was a hard-working woman, supporting her family as a cook and cleaner. Mom moved to Fort Qu’Appelle where she resided with Stu for 35 years before returning to Moose Jaw in 2017. Together, Mom and Stu worked side-by-side on a number jobs: housecleaners, janitors at the high school and for the majority of three decades as the managers, cleaners and repair and maintenance persons of the laundromat in Fort Qu’Appelle. Needless to say, Mom maintained a spotless well-organized home. Also, Mom was famous for her cooking and baking. She would receive requests for her cabbage rolls, pies, goodie trays, cinnamon buns, cakes, etc. from people around the area. 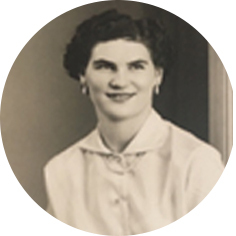 Mom enjoyed regular trips to Kananaskis country and British Columbia to visit the mountains, South Dakota to see the wild horses and bear country, and daily trips to the local country-side to see the wildlife, especially the deer. Every evening Mom and Stu finished the day with a movie that was about horses, the country side and mountains. Mom was proud of her flower gardens both in Fort Qu’Appelle and Moose Jaw. Flowers are gratefully declined. As an expression of sympathy, contributions in Willowe’s name may be made to the Heart and Stroke Foundation of Sask. 1738 Quebec Avenue, Unit 26 Saskatoon, SK S7K 1V9 or to STARS Air Ambulance 2640 Airport Road Regina, SK S4W 1A3.